Community Involvement | Willows Construction (2001) Ltd.
On May 14th, 2016 some of the Willows team members had the rewarding opportunity to help fulfill the dreams of 3 amazing kids who are currently fighting for their lives as they battle cancer. 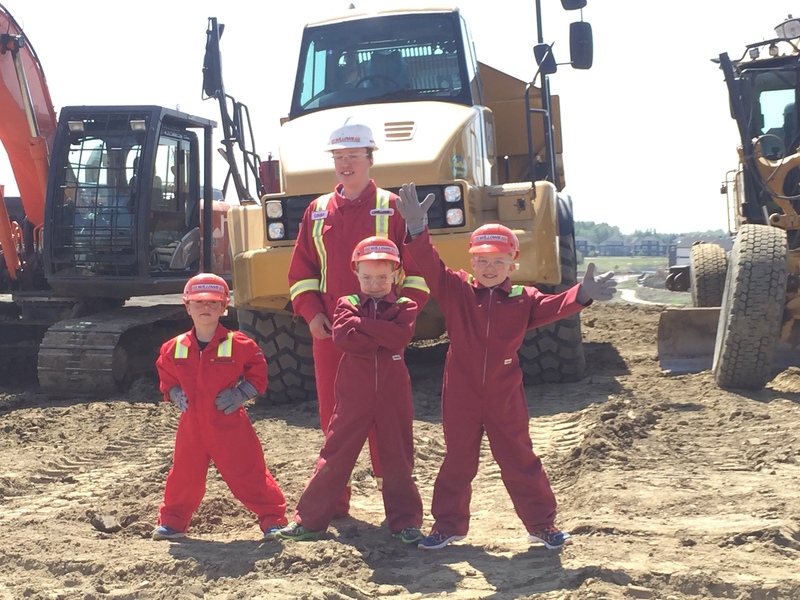 The 3 kids arrived in the Stewart Greens Community on the west end of Edmonton around 10am when they were greeted by some of the Willows team members along with 4 of their favourite pieces of heavy equipment. 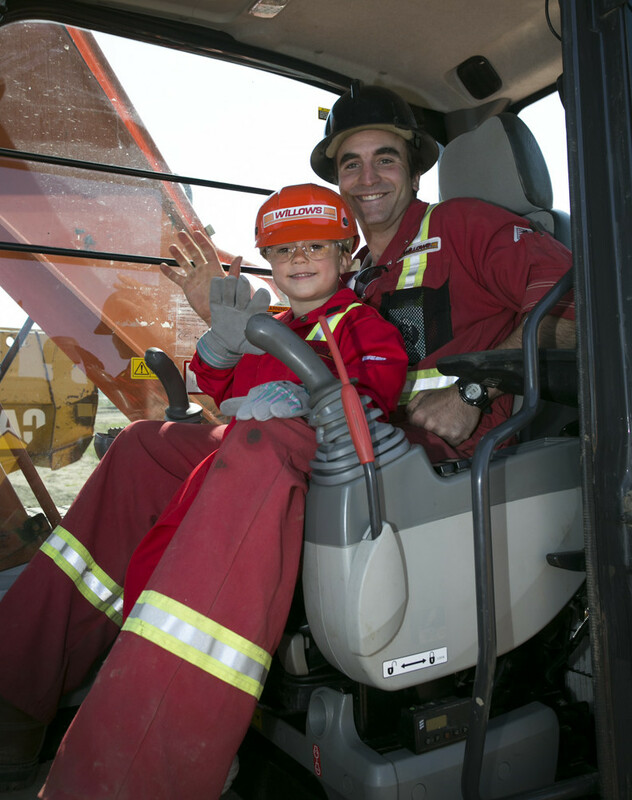 Each of the kids were outfitted with their own personal hardhat, coveralls and safety glasses (all theirs to keep!) to ensure they looked the part of “Bob the Builder.” Then the kids were shown the life-size version of their favourite sandbox toys; a excavator, dozer, rock truck and motorgrader. It sure didn’t take long for them to find the horn button! After a short musical performance using only the horns, engines were barking and the kids were safely secured on the equipment operators’ lap. They were given the opportunity to operate the equipment – making sure they pushed all the buttons and pulled on all the levers of course! After working hard all morning moving dirt around in the heavy equipment and only stopping for a quick “cookie break” the kids were welcomed to a lunch filled with Pizza and Dairy Queen ice cream sandwiches to ensure the kids had enough energy to go back to work! After moving some more dirt around the young kids started to really get into their roles of equipment operators by not being shy to grab the radio and tell their fellow ‘builders’ that they “dumped in the wrong spot.” Once all the hard work was done the day officially came to an end but not before the kids were presented small replicas of the equipment they operated from our generous sponsors. Willows Construction (2001) Ltd. could not have made this day possible without all its partners including Kids With Cancer Society, Troika Developments, Finning Canada, Martin Deereline, ConTrac Equipment, and all the Willows volunteers that helped make this day unforgettable for the Kids involved. Thank you! On May 3rd, 2016 residents of Ft. McMurray and the surrounding area were forced from their homes under a mandatory evacuation due to wildfires consuming the area. This tragic news had our hearts and prayers going out to all those affected by the wild fires raging in the Wood Buffalo region. 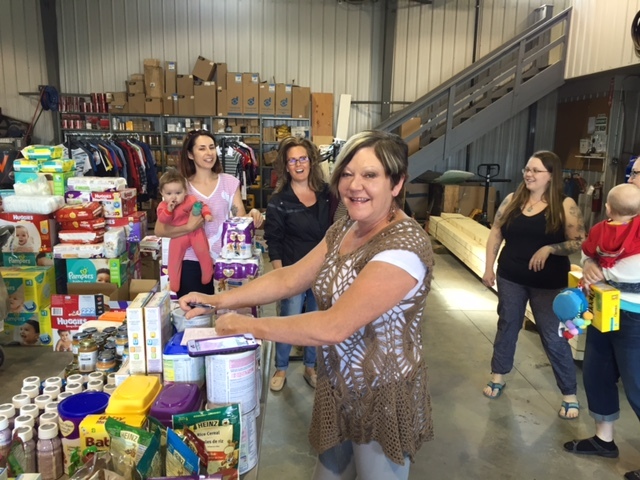 Willows Construction (2001) Ltd. immediately started accepting donations of clothing, non-perishable food and children’s toys at its head office located in Drayton Valley, AB for those affected. At first what started out as a drop-off and shipment coordination point turned into so much more. In a mere 48 hours our ______sq. ft. equipment shop turned into a disaster relief centre nicknamed “Orange Cross” where evacuees could come to and grab clothes, food, water and toys for their kids. We had an outpouring of support from the community with donations and volunteers far exceeding our wildest expectations. We had over 500 evacuees come in needing supplies whereby each and everyone got what they needed, and more importantly, a hug. Tears of gratitude were frequently flowing from those evacuees that came in as well as from the volunteers as they witnessed the effect their hard work had on those around them. We cant thank our wonderful volunteers enough for everything that they did as this effort would not have been made possible without their help. In September, 2016 The Mayor of Drayton Valley presented Willows Construction (2001) Ltd. with the Mayor’s Citation of Merit because of its “Orange Cross” work during the Ft. McMurray Wildfires. “Today was hard, beautiful, exhausting, and inspiring. I’m going to tell you about it. This was my third day at our shop and we have been working 12 hour days to volunteer and supply people with the essential things they need. What started out as just non-perishable food items and tooth brushes, turned into handmade stunning quilts from numerous local quilting guilds, pre-paid credit cards from local businesses for us to give to families, pristine wood bassinets, 50 back packs filled with school supplies for kids that lost their backpacks, brand new stuffed animals for kids that didn’t get to take theirs from home. 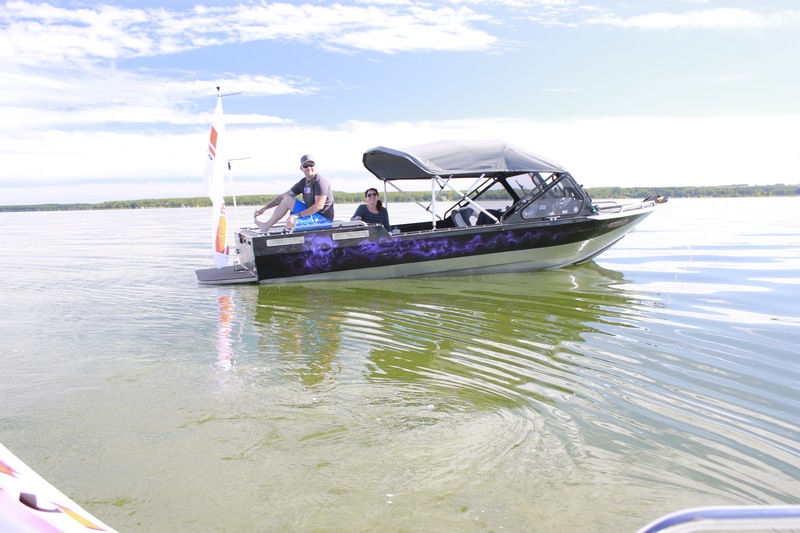 The residents of Drayton Valley have gone above and beyond in their response. When I post I need size T-5 diapers, 15 minutes later I have 50 packs dropped at the door. 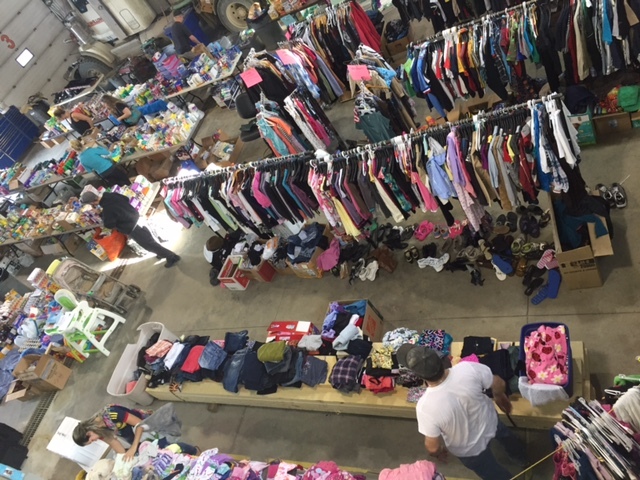 That is the support the people of Drayton Valley are giving their Fort McMurray family. There is a local lady Rose, from a local hotel who has rented a bus and makes trips into Edmonton to pick up evacuees and bring them out to her hotel where she has full kitchenettes for them. Then she shuttles them to us at the shop to come get anything they need. She is doing this for whoever wants to get on the bus. This is just one example of the local Heroes that are stepping up. I have met so many amazing people who have walked in the shop and just said put me to work and then spent the next 10 hours in a hot stuffy lunch room sorting and hanging clothes with 6 other people and smiling the whole time. You all are amazing and I appreciate every single one of you. None of this would have ever come together like it has without the volunteers. They have our shop running like a well oiled machine after only 72 hours. It is amazing. Here is a couple stories from today. I handed a little girl (5yrs) a back pack and said “you go and fill it with whatever you need”. She filled it with about 40 beanie babies (90s girls you know what I’m talking about, we got a lot donated today ?). When she saw me watching her she said she “needed them all because all of hers burned in her house.”…we shoved in 10 more and a new quilt into her back pack with the zipper bursting while I held back tears. She then put on her back pack and you could just see her relax and she started to laugh and smile. THAT was what she needed. A little boy (grade 2) came in and I gave him an empty back pack and said the same thing “fill it with anything you want”. I watched him looking for plain scribblers and I asked him if I “could help him find anything?”. He said he “needed school supplies because his backpack got burnt.” I grabbed one of the backpacks that was filled with school supplies and asked him if this was what he needed and the relief on his face when he looked in the backpack and saw plain ol Hilory scribblers and a pencil was something I will never forget. He didn’t need a toy, he didn’t need a quilt, he needed school supplies in a backpack. THAT was what he needed. 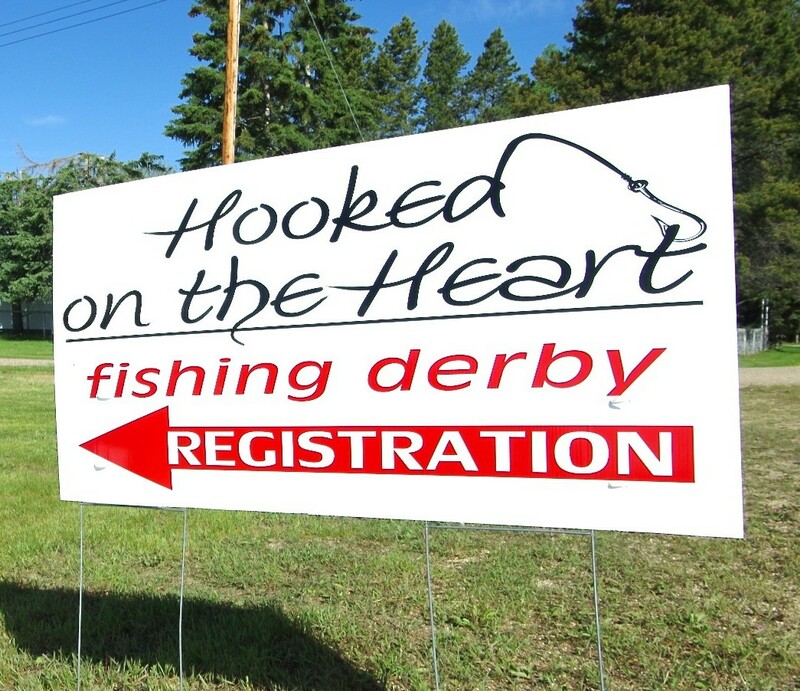 Willows Construction (2001) Ltd. proudly presents an annual fundraising fishing event called “Hooked On The Heart”, in support of the Mazankowski Alberta Heart Institute. 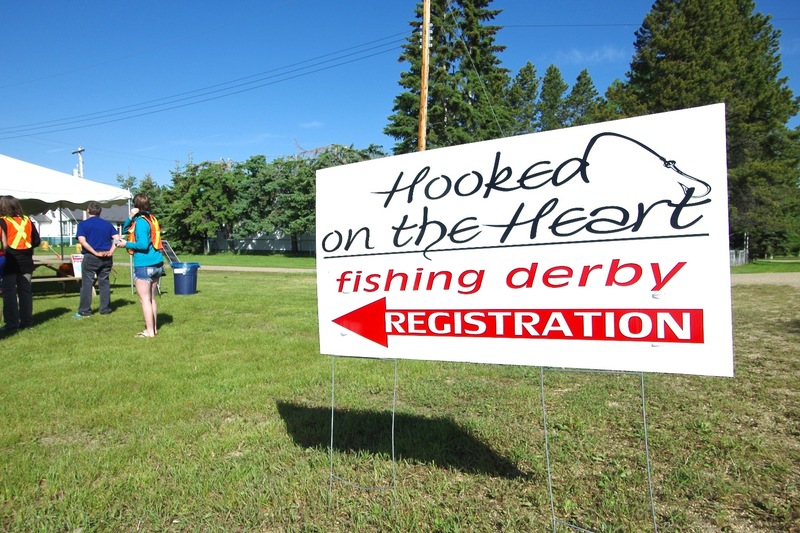 The event was started in 2013 with the goal of supporting a good cause and bringing families together to enjoy a day in the outdoors. There is no better way to show your appreciation for the ones you love than spending the day with them and supporting life saving research at the Mazankowski! 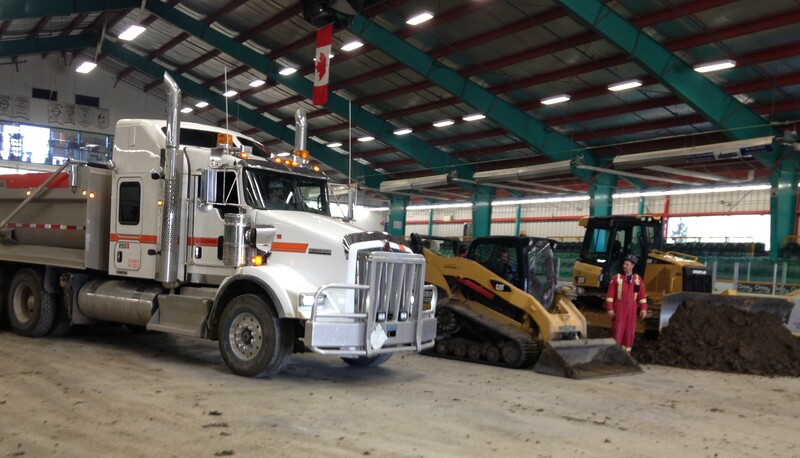 When the Drayton Valley Pro Rodeo was announced to start up in 2015 Willows Construction (2001) Ltd. was quick to donate its services in-kind for the installation and removal of the dirt work needed in the Omniplex. They have been continuing this donation each and every year since in order to help the Drayton Valley Pro Rodeo go off seamlessly! Each year they haul in and install ____ amount of dirt and sand in the arena at no cost to the event. 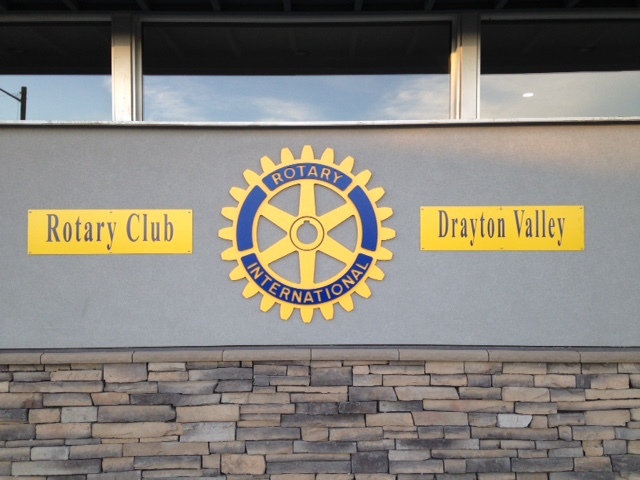 In September, 2014 Willows Construction (2001) Ltd. was approached by the Rotary Club of Drayton Valley to rebuild the south parking lot of the newly renovated Rotary House. Rotary House has been the Club’s legacy project since 2009. Its goal was to bring together a number of community service organizations under one roof in order to better serve the most vulnerable in our community. 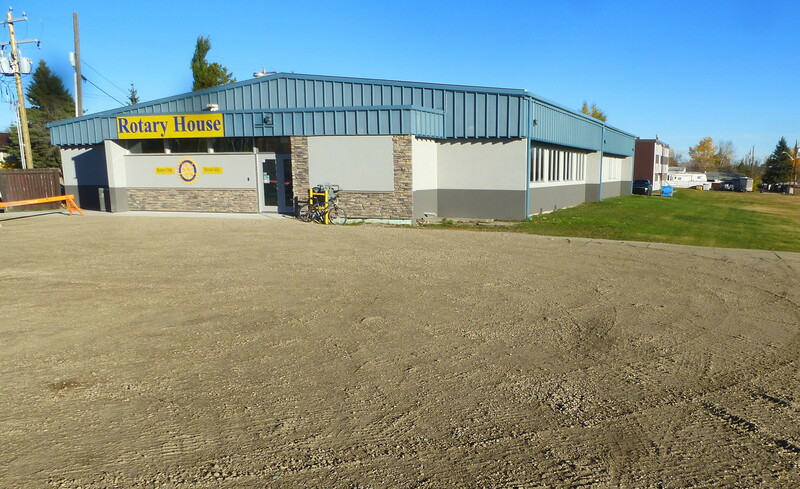 It now houses the Boys and Girls Club, Brighter Futures Family Resource Society, Family and Community Services, Humans Helping Humans Housing Foundation, McMan Youth Family and Community Services Association and Primary Care Network. We were proud to be a part of this important project which has received such tremendous support from local businesses, individuals and government. We donated over $15,000 in services and materials towards the project, and in spite of our busy work schedule and the tight timeline, we successfully completed the project by the Grand Opening on October 8th, 2014! In 2015 we got the call from the organization “Humans Helping Humans” asking for our help in a project they were doing in the town of Drayton Valley. 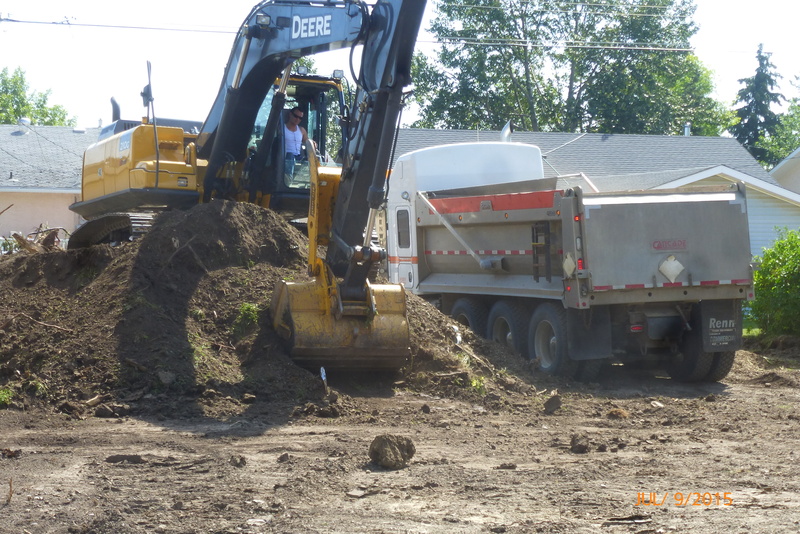 Without hesitation we dispatched one of our trucks and donated our services for the day along with other Drayton Valley contractors in order to prepare a site for construction. Willows Construction (2001) Ltd.’s President and Owner, Bob Willows, has gathered employees and friends to ride together in the Enbridge Ride To Conquer Cancer numerous times. The blood, sweat and tears make the event even more powerful and after more than 240km’s they still always find themselves with enough energy to smile! On average the Willows team raises over $10,000 for the Ride To Conquer Cancer each year they participate. Look for their smiling faces each time the Ride happens near you! 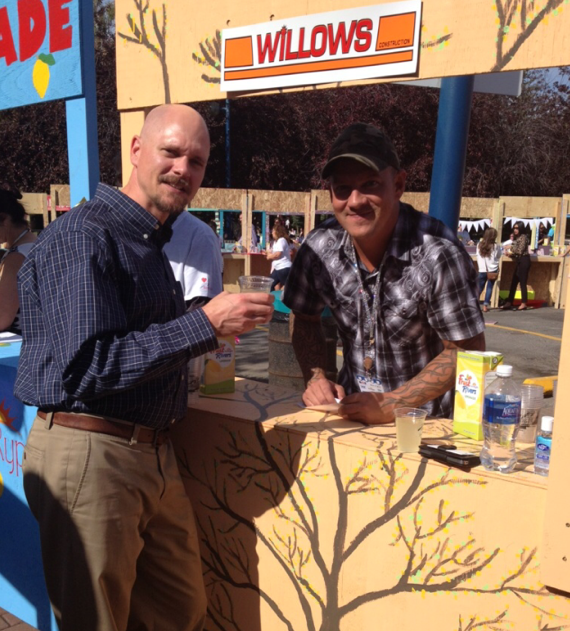 On September 18th, 2014, Willows Construction (2001) Ltd. together with many others – over 300 participants, such as our friends at Baytex Energy Corp. – set out to break the Guinness Book of World Records for the “World’s Longest Lemonade Stand” and we did it! This event was in support of non-for-profit organization Dare to Care and their comprehensive Bully Prevention program offered in schools across Canada. Over $180,000 was raised for this worthy cause. Congratulations to the organizers!! And very BIG thank-you to the volunteers who built our most beautiful lemonade stand to successfully sell lemonade! !